Click on Contacts in the left column and on the Contacts page, then Click Import to import contacts from vCard files and Address Book. To export your contacts, simply click Export button and select to export them to Address Book or save as vCard files. Click New to add a new contact. Information like photo, phone number, email, etc. can be added. To edit an existing contact, right click the one you want to edit and select Edit Contact to edit related information, which is the same as adding a new contact. 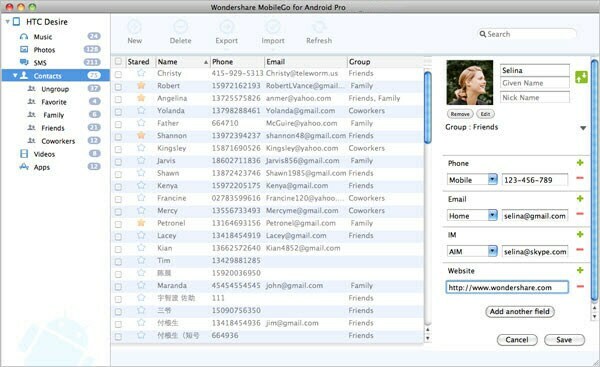 What're more, you can create/rename/delete groups, delete contacts, etc. 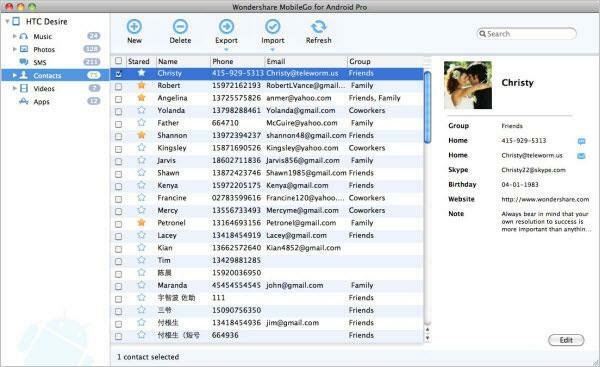 to better manage your Android contacts.